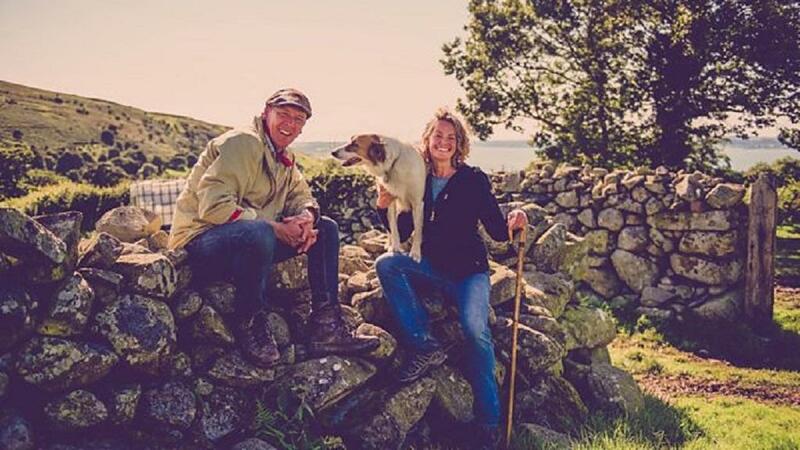 Three families from across the UK ditched the 9-5 in search of a better work-life balance and the experience of a lifetime high in the mountains of Snowdonia, with the help of hill farmer Gareth Wyn Jones and wildlife presenter Kate Humble in upcoming new BBC series, Family Farm. 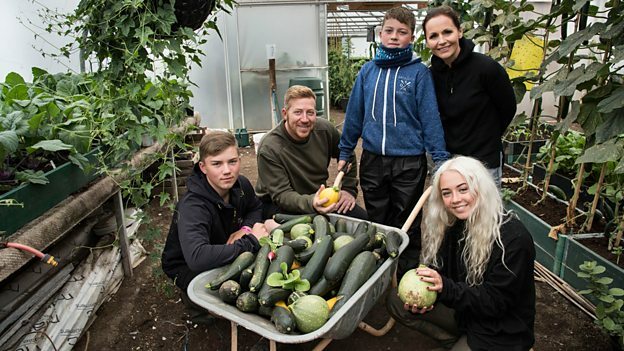 In this ambitious new four-part series, the Morgan’s from Tenby, the Burton’s from Manchester and the McNulty family from Glasgow are taken out of their comfort zones and pushed to their limits with early starts, late finishes and dirty jobs in all weather conditions on Gareth Wyn Jones’s family hill farm. The families will have their regular daily farm chores and will live on site in a special tented village. At the same time they will be given a set of challenges, designed to show how our food gets from gate to plate. Each week their efforts will be judged by experts with Gareth and Kate choosing one exceptional individual to receive a shepherd’s crook for their good work. 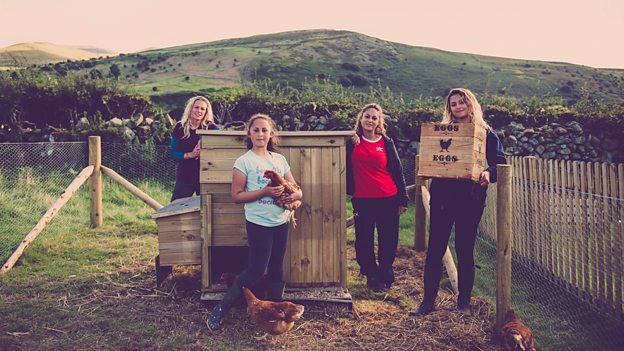 Farmer Gareth Wyn Jones was keen for them to experience the hard work that goes into running a farm and realise what it takes to produce the food we eat. Gareth says: “I don’t want it to be this perfect, pretty rural idyll. I want it to be warts and all - and to give them a real sense of what it takes to be a farmer and to produce food today. Sarah and Mark Burton from Stalybridge, Manchester applied for the programme after having the 'you youngsters don’t know what work is' conversation with son Xavia, who had refused to vacuum the front room because he was tired. Sarah says: “I was halfway through my rant when a text arrived from my sister telling me about the show. I thought it was divine intervention. And the physical work wasn’t their only challenge. The family have a diverse range of diets - Sarah’s daughter Amber is vegan, Sarah is mostly vegan but eats "eggs from my friend’s chickens”, husband Mark and sons Xavia and Roman are meat eaters. Simon and Sam Morgan, and children Rhys, Gracie and Brody were looking for a challenge that could make them appreciate things more as a family. Simon says: “On a Saturday we would probably go shopping or to the cinema and spend a small fortune and we weren’t any happier for it. “The kids were expecting things all the time. We really had to sit back and think where are we going wrong here? It felt like the kids didn’t appreciate things, it felt like we didn’t appreciate things”. Lucy McNulty and Dominique Wishart, along with Dominique’s daughters Beth and Tess long for the outdoor lifestyle that Lucy grew up with on the west coast of Scotland. BBC Wales Head of Commissioning Nick Andrews says: “Family Farm is a brilliant piece of television that taps into the one thing we all crave right now - the chance to spend quality time together as a family working and living together in a beautiful part of the world. "But at the same time in allowing three families to live the dream it’s able to show the reality of modern rural Welsh life, the highs the lows and what it takes to try and make a living by putting food on the country’s plates. Follow the families and see how they get on as they experience the realities of rural life, and face tough decisions about the animals in their care. It’s about hard work and team work, and it’s all in a day’s work on the Family Farm.